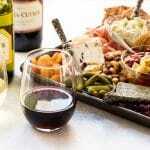 Today’s post is sponsored by Sonoma-Cutrer makers of wines that pair perfectly with the holidays and this epic cheese board that is a must-make for your holiday get-together with friends and family. With Christmas a week away and the holiday season in full swing it’s down to the wire in the entertaining department and there is no easier way to impress guests than with a big cheese board filled with delicious bites. 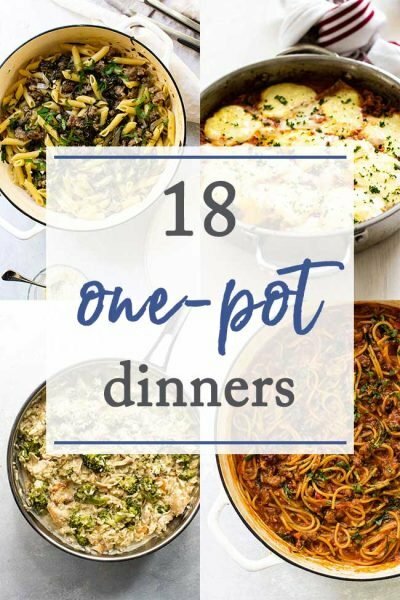 There’s no cooking required and with a few tricks up your sleeve, you can assemble and serve a beautiful platter that will leave people wondering who you hired to put the whole thing together. It’s the perfect centerpiece for your holiday get-together. So, consider this your guide to the ultimate holiday cheese board. Let’s get started! Pick a few different kinds of cheese with different shapes and textures. A few wedges, a creamy spreadable cheese, and bite-sized sliced cheese gives everyone a few choices. I like to include crackers that not only vary in shape but also flavor. I love a classic water cracker, but including different colors and flavors keeps things visually interesting. Use enough crackers to fill the nooks and crannies (more about how to arrange everything coming up!) and refill as needed. 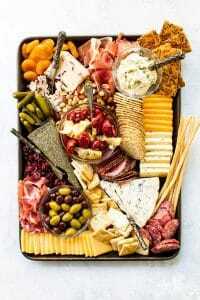 A few different types of cured Italian meat like prosciutto and hard salami are little savory surprises tucked in among all the cheese and crackers. Look for different types in the deli section or specialty cheese area at your grocery store. You may find a variety pack that includes a few different options. A lot of stores have olive bars now where you can pick out all kinds of tasty treats that add a pop of bright flavor to your cheese board. If your store doesn’t have an olive bar, check out the aisle where the pickles are – jarred artichoke hearts, roasted red peppers, sun-dried tomatoes, and stuffed olives are all great additions. Fruit and nuts are a nice way to fill in the little spaces on the board. 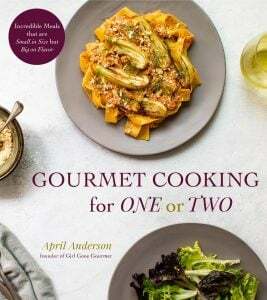 Dried apricots and cranberries along with some roasted mixed nuts are a great choice. I’m a big believer in drinking what you like to drink and not getting too caught up in the “rules” of wine pairing. 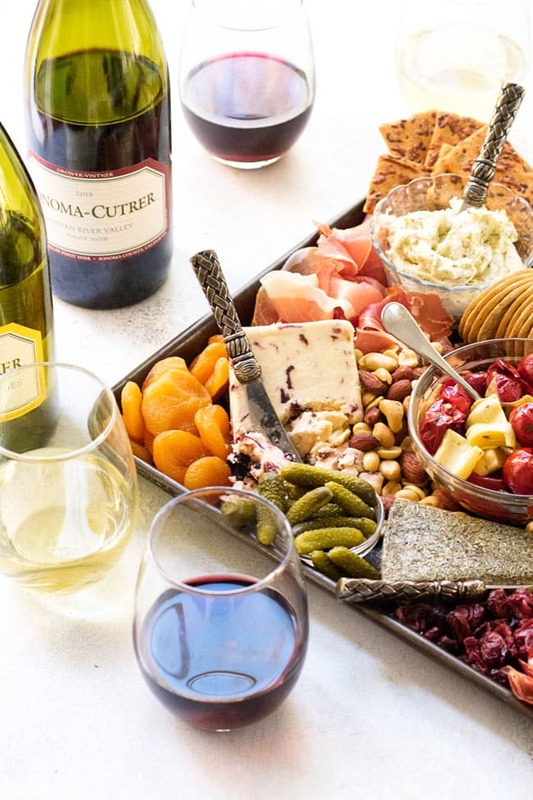 For get-togethers, it’s nice to offer both red and white wine options and the wine-makers at Sonoma-Cutrer, located in the beautiful Sonoma Valley in California, not only have lots of options, to choose from (plus winery tours if you happen to be in the area! ), but they also have a great online store where you can learn about their wines and order what you like. No more wandering the wine aisle aimlessly in deep contemplation. Sonoma-Cutrer makes it easy to shop for wine from your couch and that is the best thing ever. For a white wine, I don’t think you can go wrong with Chardonnay. 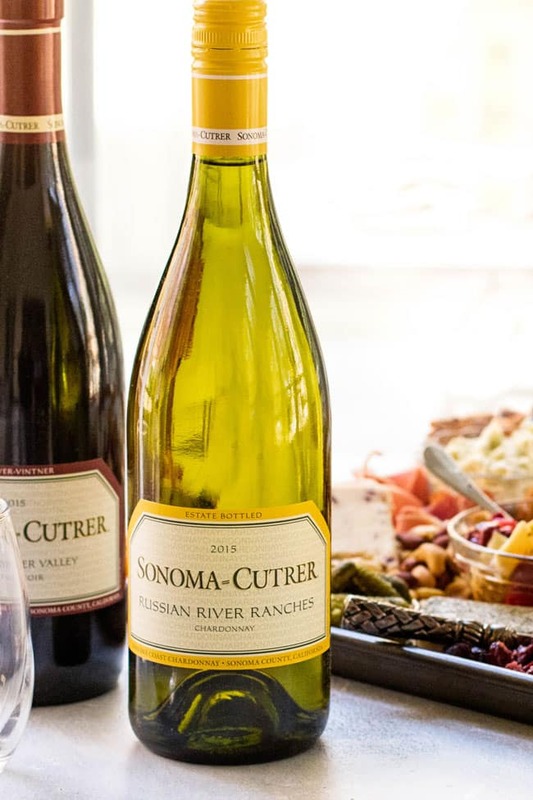 This option from Sonoma-Cutrer has nice fruit notes, with hints of lemon and green apple and its light acidity pairs nicely with the cheese board and is a good choice for guests who like a refreshing glass of wine. I like to think of Pinot Noir as a “middle of the road” red. It’s lighter than other reds and a good choice to pair with a cheeseboard. Like the Chardonnay, it’s punctuated with fruit notes like blackberry and black cherry and it has a long, smooth finish. If you already have a large slate or wooden board, by all means, use it, but I find a simple sheet pan makes a great base for a cheese board. First, it keeps everything contained (no fear of anything falling off the edge) and it’s easy to move the cheese board around. 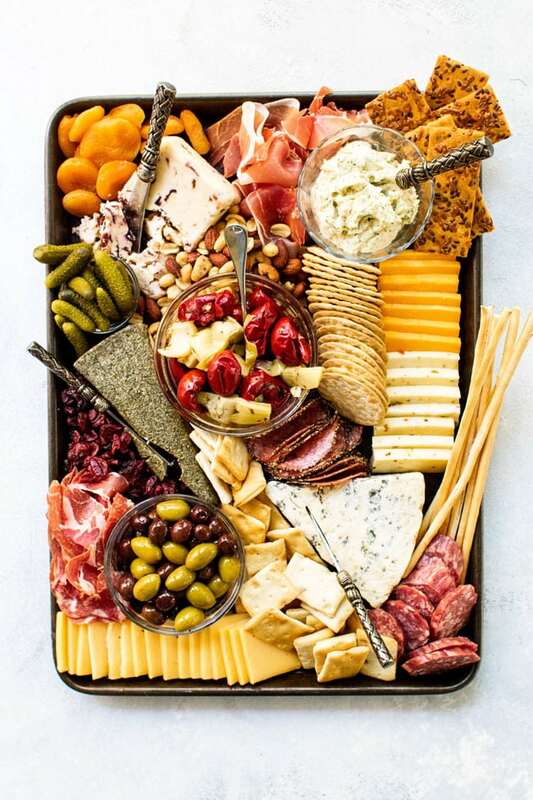 Parties have a tendency to change locale transitioning from the living room to the kitchen and using a sheet pan makes it easy to move the cheese board from spot to spot. Building a cheese board is like arranging flowers. Start with the big stuff first like anything that needs to be held in bowls followed by the big wedges of cheese. Place them spaced apart leaving room to fill in spots with everything else. Next, position the sliced cheese along the edges of the sheet pan making it easy for people to grab a slice. Depending on the type of crackers you use, stack and line some of them up, too. Fill in spots with the cured meat, but it’s a good idea to hold some back and refill as necessary. Things like salami and prosciutto hold well at room temperature for a while but have a tendency to get a little greasy if left out too long. 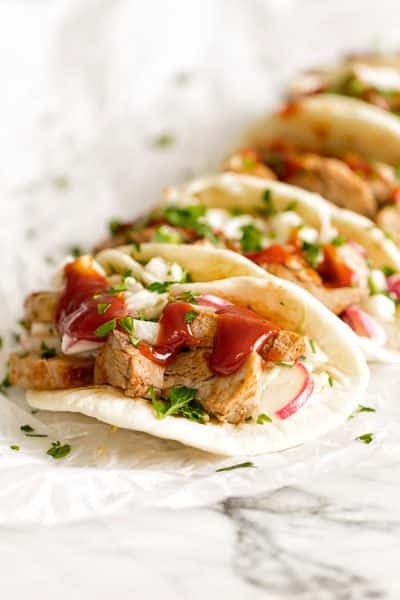 Keep the extras in the refrigerator and add more as they disappear. Use the dried fruit and nuts to fill in the little nooks and crannies after everything else has found a place on the board. Small crackers work well for this, too. And that’s it! Just open the wine and let the merriment commence. Happy Holidays, everyone. I hope yours is filled with good eats and lots of love. You don’t need a fancy slate or wooden board to build a beautiful cheese board. 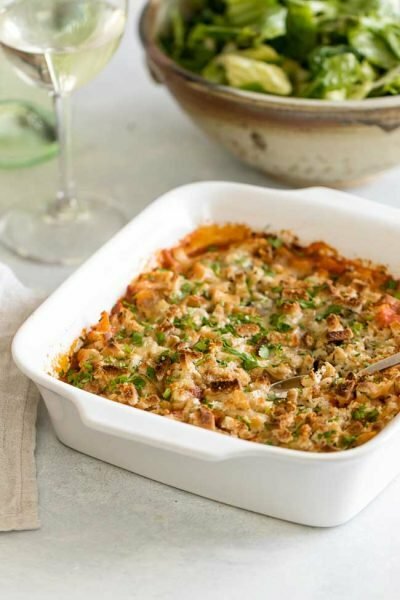 A simple sheet pan is a perfect base to assemble a delicious work of art for a get-together with friends and family. 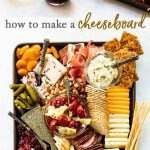 While there are no “rules” in building a cheese board there are a few good tips to keep in mind – a variety of shapes, colors, and textures will make it visually interesting and a variety of flavors will give your guests a lot to choose from. I’ve listed out everything I used to build my cheese board. Depending on the store you shop at you may not find the exact same items, so use this as a guide to get you started and have fun making your cheese board! Listed below are the items I used to build my cheese plate and I’ve included the photo as a visual guide. For each group (i.e. cheese, crackers, etc) I’ve listed the components starting at the top left of the cheese board going left to right. 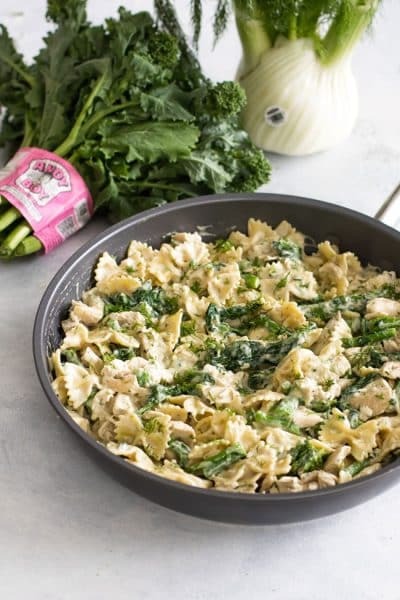 Place the anything in a bowl on the sheet pan first leaving space in between each. Follow with all the cheese wedges. Line-up the sliced cheese along the edges of the sheet pan. 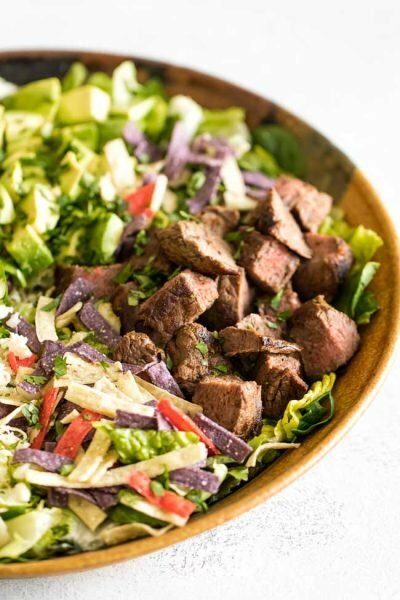 Tuck the sliced meats in between the bowls and cheese wedges. Fill-in space with the different crackers. Fill the nooks and crannies with mixed nuts and dried fruit.